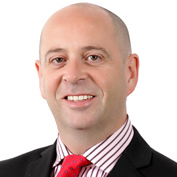 Based in Manchester, England, Ed Percy is responsible for health care across CGI’s operations, including managing CGI’s strategic portfolio, promoting CGI’s thought leadership and providing strategic support to 400 offices in 40 countries. He has worked in the field of health care for most of his career, and has been instrumental in the success of many critical eHealth projects around the globe. Mr. Percy has a deep understanding of the healthcare domain and its challenges and he is a keen advocate of the use of technology to improve safety and assist clinicians in delivering more effective health care. He has seen many different approaches to health care and informatics from around the globe. He is a respected thought leader in Europe and the Middle East and he is known as someone who has an ability to project a vision to colleagues and clients alike. He is a regular presenter at conferences and was honoured to serve on the eHealth Advisory Board for The Minister for Health, Kingdom of Saudi Arabia. Mr. Percy has a B.Eng Hons degree in Electrical, Electronic and Mechanical Engineering, is an avid amateur scientist and speaks French as a fluent second language.